An incredible collection of engaging & motivational quotes and wallpapers for life, success and self-improvement to inspire you every day! Our Inspirational Daily Quotes app provides you with a new, positive & uplifting quote to keep you motivated each & every day of the year — and if one isn’t enough, simply swipe for more! Our quotes have been handpicked to represent the most encouraging & motivational thoughts from some of history’s greatest minds — from the classic and well-known to the unexpectedly exhilarating! You will find popular quotes on life and success from Socrates, Chavez, Aristotle, Confucious, and other world famous personalities to inspire you every day. 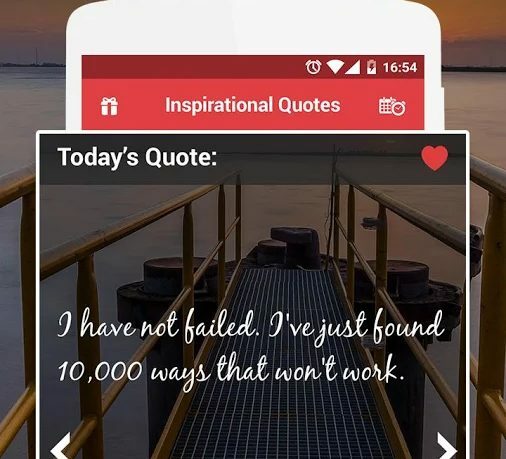 This app won’t just brighten your day — you can share the wisdom of these inspiring quotes with your friends and family with just a few taps! You can also save your favourite quotes and set notifications for up to 3 times a day. Our daily motivational quotes are not simply an aggregate of popular & famous online quotes sent to you every day. We’ve taken the time to personally read and select the best quotes & top proverbs from around the world to provide our users with a plethora of different thoughts that can inspire and motivate daily — there is something for everyone. From transcendent Zen musings to practical Chinese aphorisms, to the witty and timeless thoughts of down-to-earth Roman philosophers, our app will impress you with its stirring, heartening maxims. An expert study, comprised of over fifteen thousand participants revealed that reading at least one inspirational quote or thought daily, improved creativity and positive mentality—two of the most essential elements for lifelong success. It’s scientifically proven to up motivation, improve mood, and boost self-esteem. We therefore embarked on this journey to prepare a fully curated list of top motivational quotes is designed to brighten your day without disrupting it. 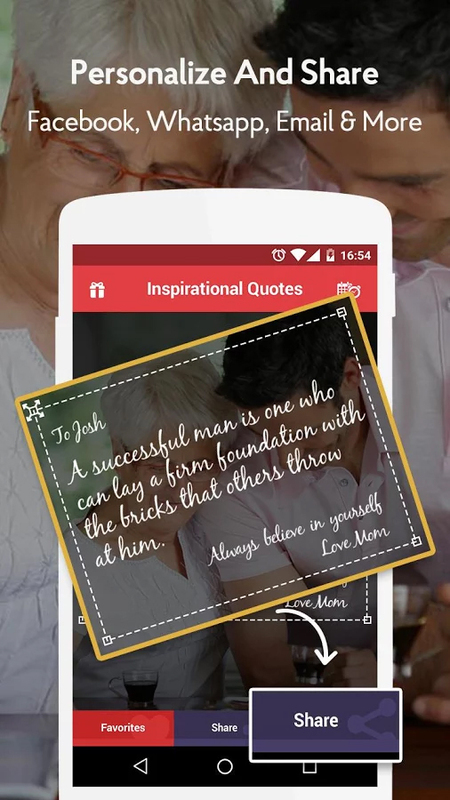 Inspirational Daily Quotes is unlike any other app like it. Choose up to three times a day to deliver inspiration through out the day. Save your favorites, then customize font and backgrounds for your quote. Share by text, email or social media. What I liked about Inspirational Daily Quotes is the wide variety of quotes available. You can easily swipe to choose another quote if you don’t care for the ones chosen. The customization features are a nice touch and something I haven’t seen before in an app like this. There are beautiful backgrounds to choose from and the fact that I can share with my friends and family in different ways is the icing on the cake. The app is ad supported which may be a detractor for some users, but the app is completely free, so there is no out of pocket expense for the motivation delivered. 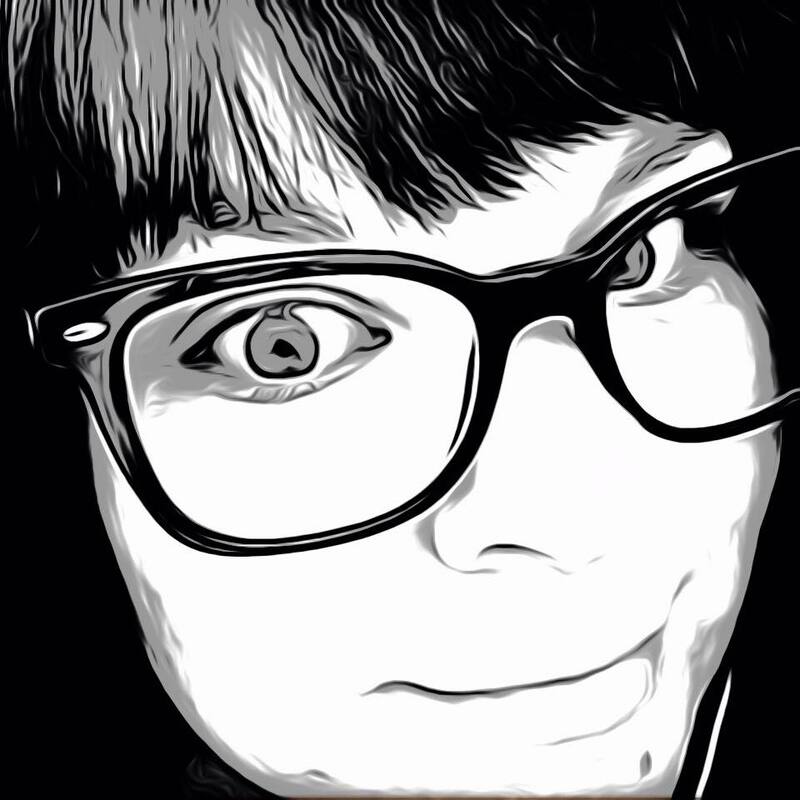 This app is easy to use and has great features users are sure to love. 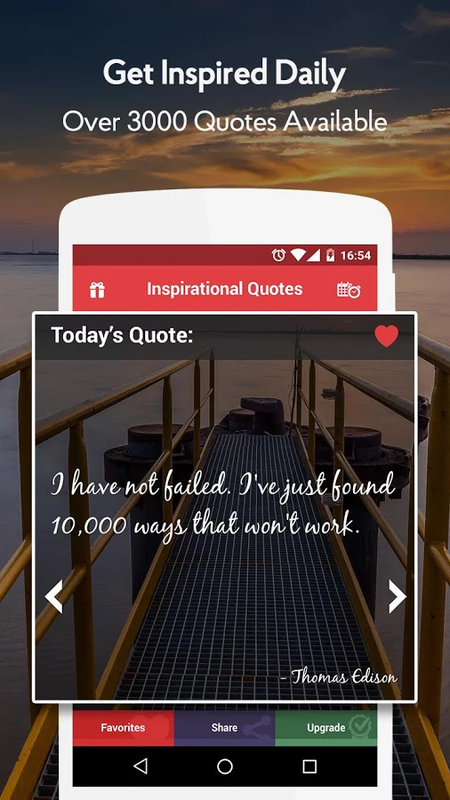 The Inspirational Quotes Daily app is available now in the Google Play store for free.